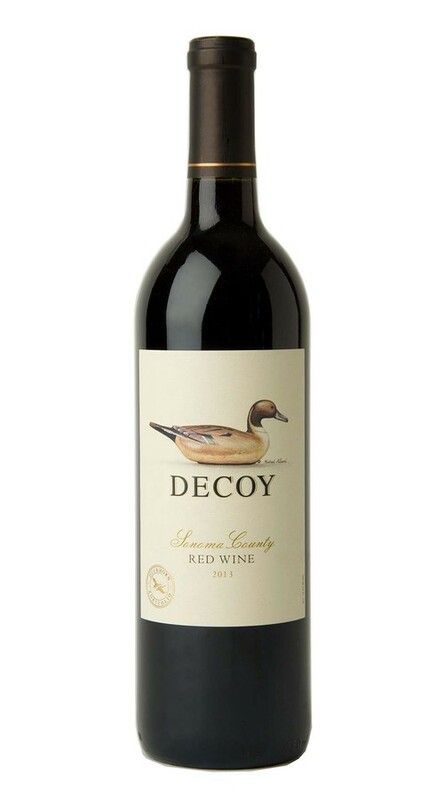 Our 2013 Decoy Sonoma County Red Wine offers a lush and appealing expression of Bordeaux-varietal winemaking. The exceptional 2013 growing season yielded a spectacular Decoy Red Wine filled with alluring layers of cassis, black cherry and plum, as well as hints of baking spice, black licorice and cocoa. On the palate, this wine is weighty and deliciously complex, with refined tannins adding length and focus to a long, satisfying finish. The 2013 harvest was early, even and excellent with a warm dry spring brought an early bud break and created ideal conditions for flowering and fruit set. In the weeks after Labor Day, a moderate heat event followed by a period of perfect weather created a dream scenario for end-of-season ripening. Rain was not a factor, and for the second vintage in a row, the quality of the grapes was exceptional throughout Sonoma County. Pleasant, light body goes really well with home made French soup. Cheers! First, let me say that Duckhorn (Decoy's owner) makes some of the best wines I've ever had. Decoy, however, I feel is among the very worst I've ever had. I bought one years ago and poured it down the drain. I decided to try it again today and it was just as horrible. I just cannot drink it, it's such poor quality. It will go down the drain. Duckhorn, please improve Decoy or just take it off the market. It is harming your reputation, in my view.